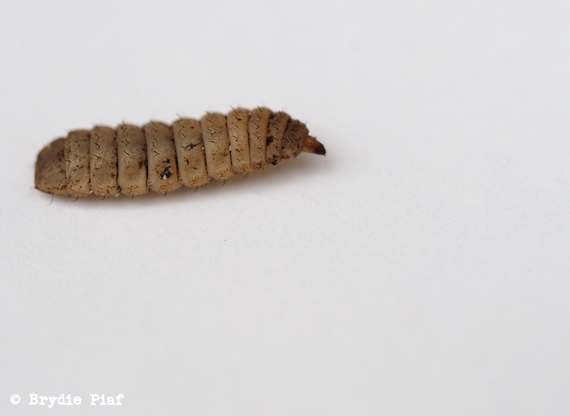 This entry was posted in Connecting with Community, Going Green, Making, Creating + Frugal Living and tagged black soldier fly, compost, composting made easy, how to compost, simple composting by cityhippyfarmgirl. Bookmark the permalink. 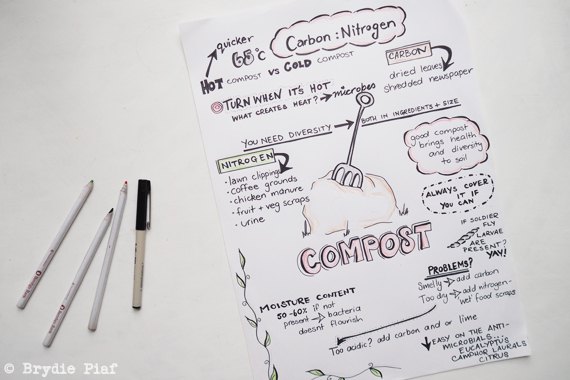 Fantastic compost poster! Very impressive. There is something so aesthetically appealing about a well drawn poster. 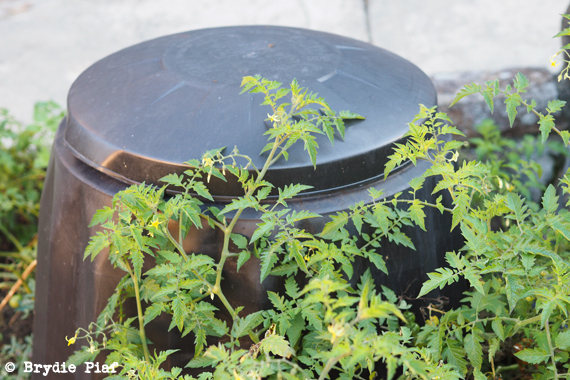 I very rarely get the opportunity, so when one came along, well…I kind of had to didn’t I.
Composting has never looked so creative and pretty Brydie! I love it. I don’t really compost as such, the chooks get our vegetable scraps and the dogs get any meaty, bone type scraps. Manure and straw in my vegetable garden tend to break down naturally in the beds. Amazing photo of the Black Soldier Fly. They are funny little things the black soldier fly aren’t they up close. As for chooks versus compost, yep, I’m not sure how successful my compost would be if we had chooks as well, there is only so many scraps. I was actually thinking about your dogs this morning and the picture you took of them all alert in the back of the ute…makes me smile. A great poster, Brydie. My best composting tip is using a compost aerator (like a giant metal corkscrew) to turn material within a plastic composting dome. It is easy to use and introduces air into the mixture (as well as combining the different ingredients), thus speeding up decomposition. Yep, I’d be lost without mine Deirdre. So much more effective than shovelling it all around when it’s in a confined space. Great poster – wish I had a compost heap to use – if I did this would be on the wall – I love my parents three part compost system with the newest compost in one section, the next in the middle section and then the useable compost in the last section. But I have been delighted recently to find a local community garden that has a community compost bin – it is such a great idea as we don’t have much need for compost in our small garden and I am happy to contribute to theirs – have had a few discussions with friends about altenative compositing ideas for those who don’t need compost – such as taking it to friends’ places or even a communal compost heap for units. Yep, I’m a big supporter of community composting. Whether it be through a council initiative or as a local organisation. No matter how it’s done, as long as it’s done! Such excellent timing for me! Just starting a compost heap (or 2) so the poster is a perfect summary for me. Thank you! !